We deliver a professional and friendly service to business owners and individuals. As business advisors we have the knowledge and experience to bring your ideas to life. Whatever your needs, we are here to help. Iliffe Poulter Ltd is a firm of Accountants based in Nottingham offering accounts, taxation and business advisory and support services to a wide range of businesses and individuals. At Iliffe Poulter Ltd we provide a cost-effective, high value solution to meet all of your financial needs. We work hard to get to know you and your business so that we can deliver timely, individual advice helping you improve your business and personal wealth. 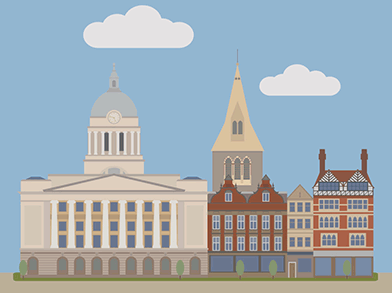 We have been serving clients in the Nottingham area for over 35 years. A knowledgeable and passionate team.